Carbon monoxide is colorless, odorless, tasteless, and very harmful to the human body when inhaled. It binds to hemoglobin to make carboxyhemoglobin which causes oxygen deprivation in humans. The most common symptoms of carbon monoxide poisoning, such as headaches, nausea, vomiting, dizziness, fatigue and feelings of weakness, can cause serious damage to the heart and central nervous system from exposure to carbon monoxide, with sequelae. According to the test, when the carbon monoxide concentration in the air reaches 50ppm, healthy adults can bear it for 8 hours. At 200ppm, healthy adults will experience slight headache and fatigue after 2-3 hours. When 400ppm is reached, healthy adults suffer from forehead pain within 1 to 2 hours and threaten life after 3 hours. At 800ppm, healthy adults experience dizziness, nausea, cramps, loss of consciousness within two hours, and death within two to three hours within 45 minutes. The carbon monoxide produced in underground garage is mainly from the engine of the car. When the engine is running at idle speed, the exhaust gas containing a large amount of CO will be produced due to insufficient combustion of gasoline. The underground parking lot is an airtight environment, where vehicles enter and exit frequently, and the exhaust gas emitted is not easy to be discharged. As a result, a lot of CO gas is easily accumulated, leading to a pungent smell in the parking lot, which will damage people's health. 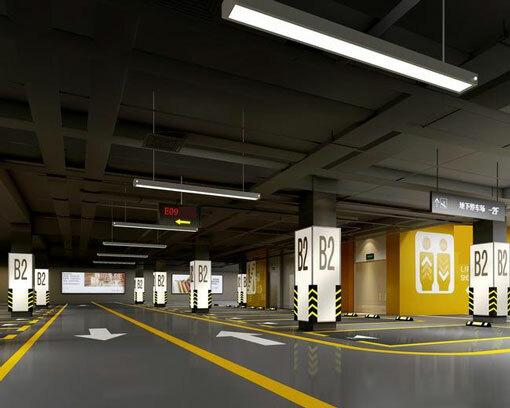 Therefore, underground garage, parking lot should be equipped with air supply and exhaust system, with fresh air replacement. Carbon monoxide (CO) is a kind of colorless and odorless poisonous gas. At present, the purpose of installing the carbon monoxide detection system in the underground garage is mainly as follows: 1. Regularly exhaust air to ensure the carbon monoxide concentration in the garage is lower than the hazard level, which is considered as a safety consideration. 2. Conduct exhaust according to the carbon monoxide concentration in the dismounted storage to avoid energy waste caused by too high exhaust frequency, which is considered as energy saving.